Everything and nothing has changed since Hop River Brewing Co. opened a year ago. One of the newest craft breweries in Fort Wayne, Hop River has stayed true to its commitment to providing a community space and brewing true-to-style beers. But it has grown, too, creating 36 branded brews, canning three varieties and helping to start the Northern Indiana Brewery Association. On Saturday, it will celebrate what it has accomplished – and what's yet to come – with a Birthday Bash Party. There will be food, cake from Zinnia's Bakehouse and entertainment. Hop River will also tap its latest creation, a double dry-hopped double IPA. Mary Corinne Lowenstein, director of marketing, says that creating and sustaining a community has been a common thread over the past year. She notes that Hop River has worked with more than 70 local nonprofits, artists and businesses, and the brewery has striven to create a sense of community not just with patrons but other breweries. Hop River has done collaboration brews with the likes of Mad Anthony Brewing Co. and Trubble Brewing and helped to get the Northern Indiana Beer Trail passport program off the ground. The brewery also celebrated several awards at the 2018 Indiana Brewers' Cup, winning two gold medals and a second best in show for their Maestro (Vienna Lager) and Harrison St. Wheat (Hefeweizen). Hop River, which has a 15-barrel system, currently has 16 taps at its 1515 N. Harrison St. location. Hours are 4 to 10:30 p.m. Tuesday through Thursday, 4 p.m. to 12:30 a.m. Friday, noon to 12:30 a.m. Saturday and noon to 8 p.m. Sunday. West Central Microcreamery and Cafe is set to open with a new look, new logo and new owners. On Saturday, the ice cream shop will host an ice cream social from noon to 4 p.m. at 725 Union St. It will be a chance for visitors to get a sneak peek – and taste – of the venture. The shop, which was owned by the family behind Carousel Ice Cream, closed in September. It is now co-owned by Dave Kuker, Anita Kuker, Erin Eyanson and Jason Eyanson. The shop will offer small-batch ice cream, including artisan and vegan varieties. There will be a few “full-timers,” Jason Eyanson says, such as vanilla and chocolate, but he plans to rotate flavors quite a bit. He adds that there will be six vegan varieties available on a regular basis. “We are really looking forward to experimenting with all kinds of flavor combinations,” he says. The menu will also feature coffee options, with plans to grow those operations. The menu for the ice cream social will be released this week on social media. Eyanson says the creamery will begin limited hours next week. Mocha Lounge is showing a latte love for its customers. The coffee shop on the southwest side of Fort Wayne recently debuted its seasonal menu, with the tagline “Love is in the Air.” There are espresso drinks such as raspberry white mocha, amaretto latte, Sweetheart Mocha and cinnamon lattes. There's also a cherry chai and chocolate covered cherry drink. But this Valentine's themed menu might be even sweeter as the shop begins a new chapter. Mocha Lounge recently opened a new building on Covington Road – across the street and just west of the original location. The new spot boasts a larger space, drive-thru and plenty of baked goods. Hours are 6 a.m. to 6 p.m. Monday through Friday, 7 a.m. to 6 p.m. Saturday and 7:30 a.m. to 5 p.m. Sunday. There's also a Mocha Lounge on the north side of Fort Wayne at 4635 E. Dupont Road. • Penn Station East Coast Subs will celebrate Valentine's Day with its “2 Can Dine for $14.99” promotion this year. On Feb. 14, two people can get two 6-inch sandwiches, two small fresh-cut fries and two regular drinks for $14.99. • BurgerFi is marking its eighth anniversary with specials through the end of the week. Today, customers can receive a free Freestyle beverage with purchase. Other promotions include $2.50 shakes on Thursday and a free order of regular with any purchase on Friday. 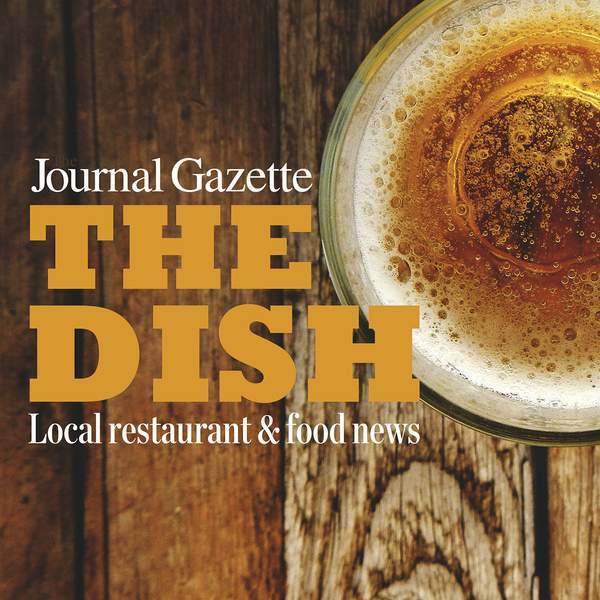 • A new restaurant might be opening on the north side of Fort Wayne. There are signs on Lima Road advertising that Popeye's will move into the area where Dogs N Suds operated. I'll fill you in when I know more.